Wouldn't it be nice if you actually find a decent Taurus PT809 holster? They aren't too easy to find these days. But does that mean you have to settle for just any holster for your gun? You deserve to carry whatever you want. 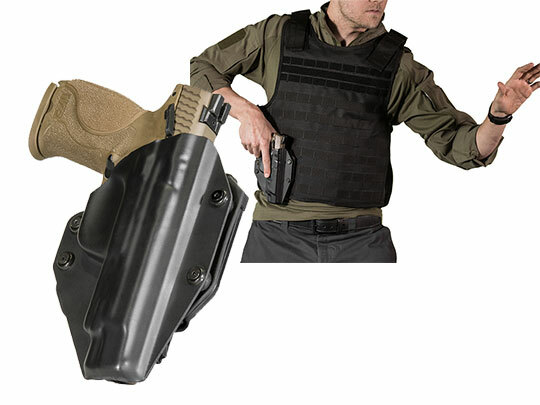 Who, then, can provide a quality Taurus PT809 gun holster without having to resort to a custom holster shop? Alien Gear is able to do just that, and without the custom holster lead time, break-in or expense. 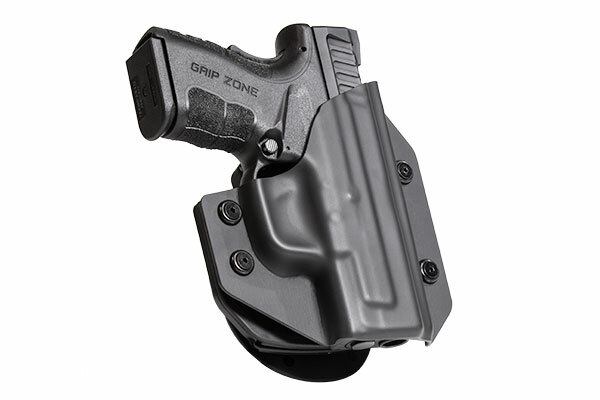 We're able to do this by employing the hybrid holster design, which marries a durable retention shell to a backing platform. By custom-molding the holster shell to the PT809, this ensures a quality fit. By producing a quality backer, this ensures a comfortable carry. 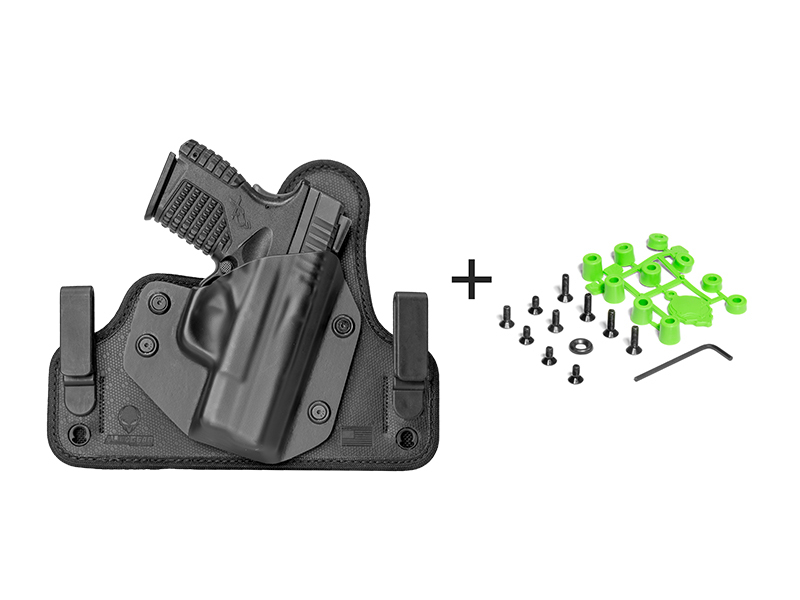 Since we also use adjustable mounting hardware, you also get adjustable retention settings, unlike many holster companies that use rivets. Our shells are universal, meaning the same shell is used on every Taurus PT809 concealed carry holster - in or outside the waistband. The fit and retention will be the same. Thus, you just need to pick the backing system of your choice. 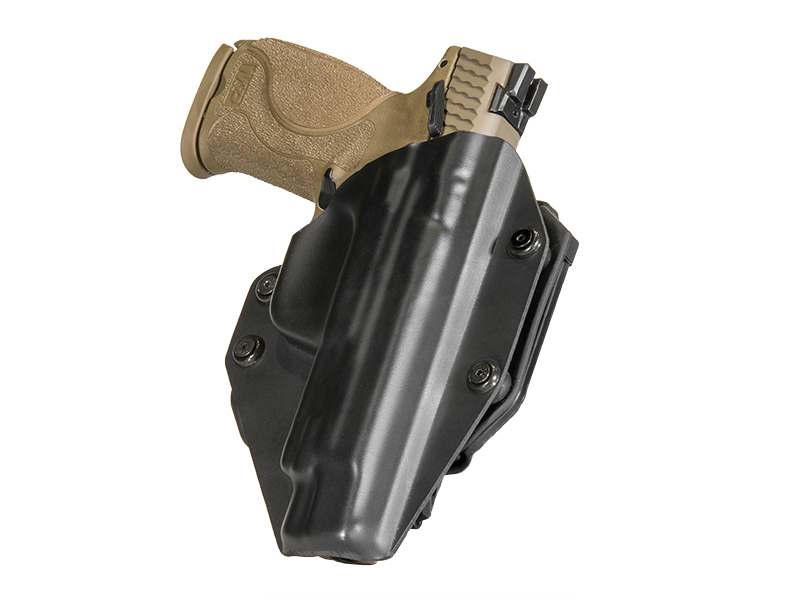 Taurus PT809 IWB holsters from our Cloak Tuck line of IWB holsters include the original Cloak Tuck, a classic leather IWB holster in black or tan, or the Cloak Tuck 3.0, an ultra-modern holster with multiple layers for greater comfort and durability. 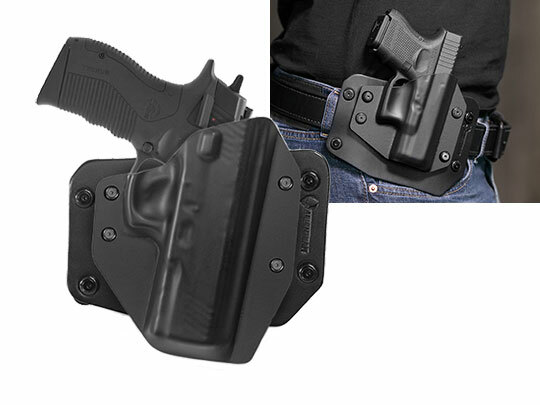 Should you prefer to carry outside the waistband, you may also select the Cloak Mod PT809 paddle holster, or the Cloak Slide belt slide OWB holster. 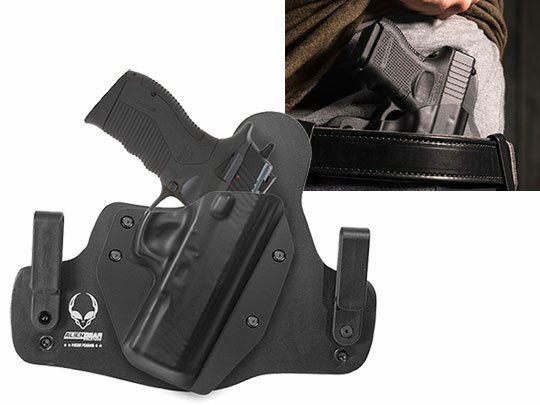 You also have the option of choosing more than one holster at the point of purchase and get a discount on both! Whichever model of Taurus PT809 holster you choose, it comes with Alien Gear's Iron-Clad Guarantee, which consists of a 30-day "Test Drive" period after purchase, during which you can return the holster for a full refund, and a lifetime of retention shell trades in case you ever trade in your gun for a new model but want to keep using your holster. We also warranty every holster for life. All you have to lose is a comfortable carry.